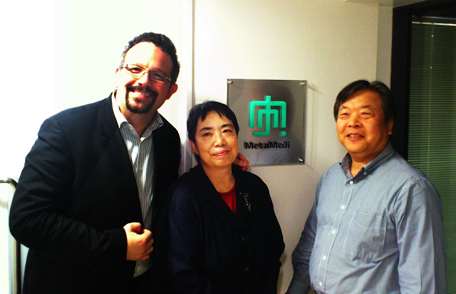 On Nov. 7th, Phil Libin, the CEO of Evernote stopped by our Tokyo office to discuss a unique collaboration with our team. 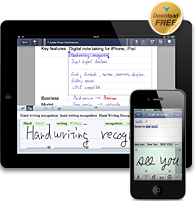 What came of it after discussing and brainstorming, we both felt that 7notes can provide a superior note taking experience, with its state-of-the-art handwriting recognition engine. The popular app can be used for both work and life, across a variety of settings where a keyboard based mobile computer doesn’t fit, including; meetings, in the classroom, mobile workers, workers in the field, hospitals and so on. With Evernote offering “Capture anything, Access anywhere, Find things fast” multi device platform and with 7notes’ “this is how you should take notes” outstanding handwriting experience, this collaboration will increase Evernote users’ benefits. This new relationship with Evernote that will provide an enhanced collaboration with the next major update of our popular 7notes handwriting app for iPhones and iPads in mid-November. With 7notes’ Evernote enhancement add-on, users will be able to retrieve all notes in Evernote from 7notes and save 7notes documents into Evernote with its notebook and tag features in a smart manner. Together, Evernote and 7knowledge will develop an enhanced experience for users worldwide. Please watch out for this new and exciting update of 7notes HD coming soon in mid-November.